Computers used by entrepreneurs or employees on a daily basis don't necessarily have to be the most powerful, the most expensive, or the most technologically advanced. For standard administrative work, such as accounting or using Microsoft Office, a simple machine with an integrated graphics processor can be sufficient. Our branded office PCs are available in virtually all price ranges. In addition to the classic Mini Tower design, we also offer a miniature PC setup for offices that are short on space. Although business desktops tend to be simple, they can easily handle browsing the internet, playing music and videos, and burning DVDs. Their biggest advantage is their low power consumption, low noise emission, and especially their low price. Their value for money and combination of quality against low price are crucial arguments in favor for buying them. Office computers are designed to run office applications smoothly, whether handling e-mails or working with Microsoft Office programs. While high performance is not necessarily the top priority, entrepreneurs and businesses expect the highest reliability. Office PCs are configured to meet the demands of the corporate environment. 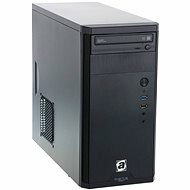 A typical desktop computer is equipped with quality components including a powerful processor. Everything is perfectly matched and incorporated inside a functionally designed case. 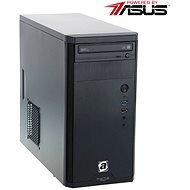 They include parts from well-known companies such as Dell, HP and Lenovo. Choose from our range of models also equipped with a comfortable keyboard and mouse.